Is half of a SpaceX fairing a viable lifting body? If it was powered, would a shape such as a half-fairing produce any lift, or could it be modified to both work as fairing, and lifting body? Realistically, no. While there are some lifting body shapes that approximate a halved solid cylinder, there are none of the form of a hollow, thin walled half cylinder or conic. The fairings are unstable in most configurations, so need to travel convex side forwards. 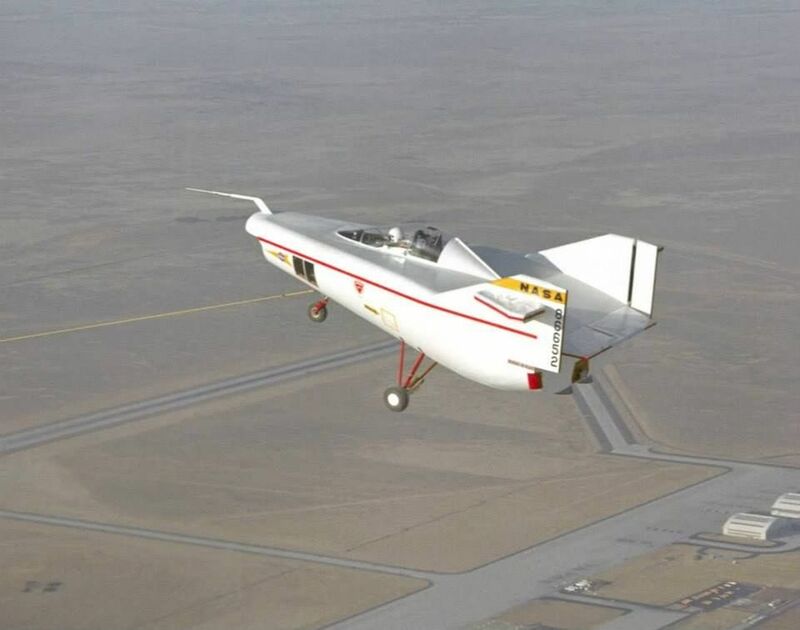 You can see from these examples of lifting body shapes below that solid conics can be made into lifting bodies - taken from a wide collection here. The big problem with the fairing is that it's hollow. While the airflow around the outside is okay, the air flowing over the top will get very turbulent. This means lots of drag and little to no lift. Compare it to an aircraft wing: when the angle of attack (angle of the wing relative to the airstream) rises, you get increased lift at first. But above the critical AoA, lift drops and drag rises. At the edge of the fairing, the AoA is 90º. Not the answer you're looking for? Browse other questions tagged spacex fairings recovery or ask your own question. Do 'size of a bus' sized F9 fairings ever float after impact? Are they navigation hazards? Is SpaceX trying to catch two pieces of fairing with one boat? How much does a current F9 fairing-half weigh? Would having the Falcon fairing reconnect be possible/beneficial? What if anything makes launching a recovered SpaceX rocket from a drone ship implausible?